All refurbishment work and upgrades done by Centuriontech.eu, covered by 6 month warranty. Comes with brand new AMPIPSU Nuovo 4 Amiga power supply (https://centuriontech.eu/product/nuovo_amiga) and clear front panel LED block in default green, yellow, red color combination. 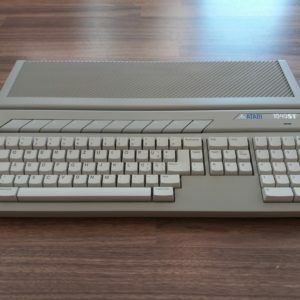 This Amiga is equipped with IDE – CompactFlash adapter by retro.68k.pl, which allows you to change your CF card conveniently from the outside, without a need to open the chassis. Features all-new, all-preloaded quad-ROM switcher by Centuriontech.eu, ROMs can be conveniently selected on rear trap-door switch panel (see pictures). Original 3.0 ROMs are however part of delivery too. Shipping in EU only. Shipping quote on request. You need to offer international sales and shipping. Please, please, pretty please. We are starved for a product/service like this down in Australia.